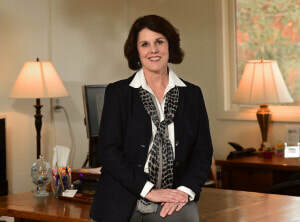 Denise joined Big Sky Senior Services as the Executive Director October 2009. Previously she worked in the marketing field for banks and credit unions. Denise also served on the Senior Helping Hands Board of Directors for 15 years and the Prevention of Elder Abuse Board for 10 years. She graduated from Montana State University – Billings in 1996 with a BS in Business Administration. Lonna started with Big Sky Senior Services in 2012 as a Certified Nurses Aid bringing many years of experience working in long term care facilities and in home care services. In November 2016, she was promoted to the Program Manager for Senior Helping Hands program. Lonna has a great passion for helping the elderly and commits her time and energy into ensuring that they are able to stay in their own homes as long as possible. Lonna enjoys spending time with her family, outdoors, and her puppies. Jerri obtained her biology degree in 1975 from Wittenberg University in Springfield, Ohio. In 1978, she graduated from Case Western Reserve in Cleveland, Ohio with a BSN. She came to Montana in 1982. Where she began working at Billings Clinic. She was there for nearly 25 years. For the past 7 years Jerri has been working part time with a hospice agency in Billings. In October 2016, she joined the staff here at BSSS as our RN. Jerri loves interacting with the clients and their families. She enjoys teaching and educating them so that they may live in their own homes safely and comfortably. Suzanne comes to Big Sky Senior Services with an extensive background in nonprofit work, both as staff and as a board member. Since moving to Billings in 1999, Suzanne helped found BikeNet (Trailnet) and Ales for Trails and served 2 terms on the Blue Creek School board. Suzanne co-chaired the 2011 initiative campaign for the new library and is currently vice-president of the Billings Public Library Foundation. She also serves on United Way’s Volunteer Center Advisory Board and the Alliance Volunteer Center Community Advisory Group. Suzanne is honored to draw upon her years of volunteering and serve as Big Sky Senior Services Volunteer Coordinator. Sheryl graduated from MSU-Billings in 1997 with a BS in Human Services. Since this time she has been employed within Yellowstone and surrounding counties including the Cheyenne and Crow reservations. She has served as Case Manager for HRDC, Rimrock Foundation and Second Chance Homes. In addition, she has worked in the banking industry. Her education and experience has allowed her to become the Program Manager for Prevention of Elder Abuse. She enjoys being Representative Payee and Program Manager for seniors as well as individuals with disabilities. She is also confident that all programs within Big Sky Senior Services serve our clients with integrity and respect.